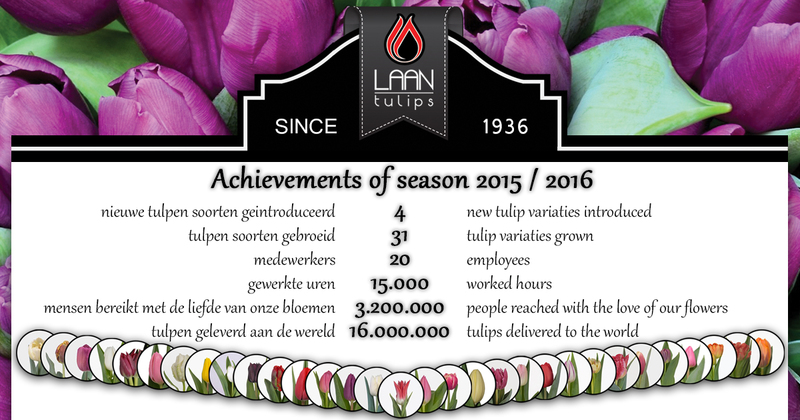 This week we have our final tulips of season 2015 / 2016 at the auctionhouse. We are so proud of all our staff for another great season! – A season where we have been able to give away 200,000 tulips with Tulip Promotion Netherlands. – A season where we welcomed peers from Chile, Thailand and China. – A season where we reached millions of people all around the world. – A season where we introduced as many as four new tulip varieties. – A season which we would love to repeat in October!